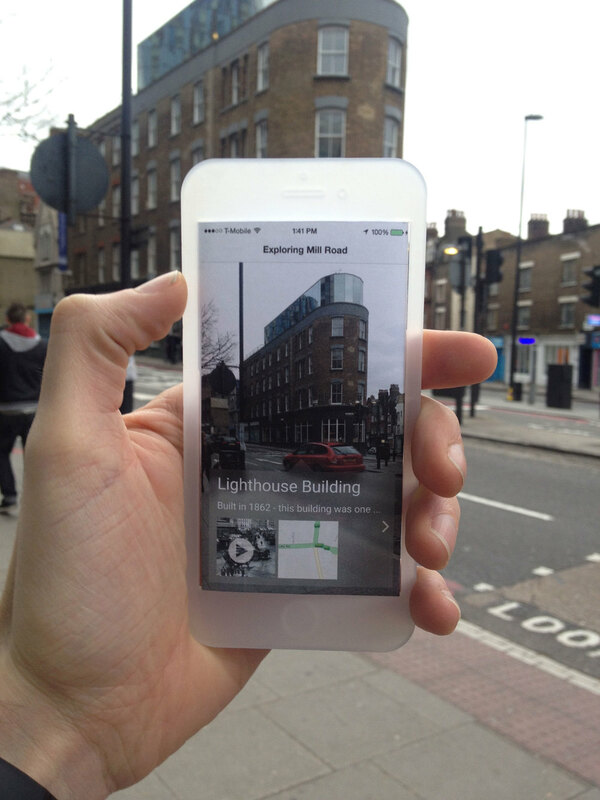 As part of the Design Practice module, on the Human Computer Interaction with Ergonomics course, I worked with a team to develop an interactive installation for our client, ‘Capturing Mill Road History’, based in Cambridge. 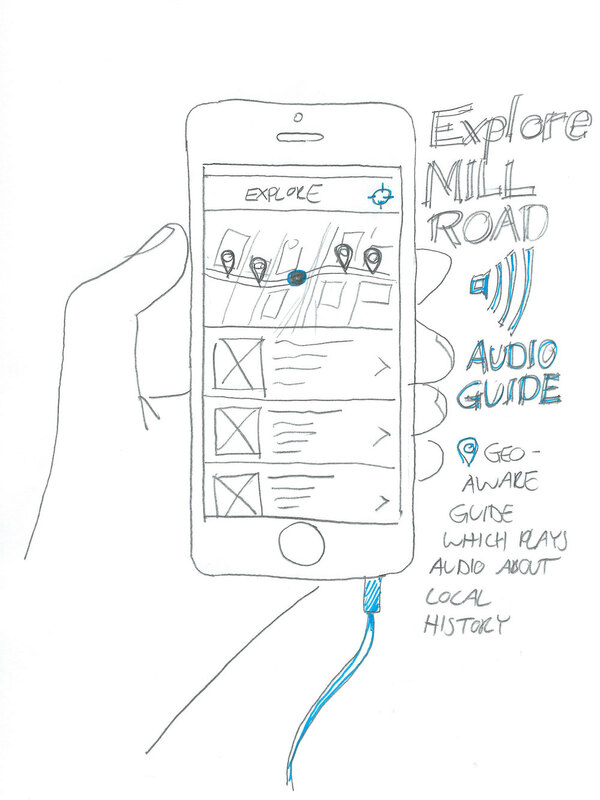 The aim of this project was to engage local people with the history of Mill Road via technology. Project collaborators: Suzanne Amos, Ale Ferreira, Sandeep Kollannur, Gustavo Soto Mino. 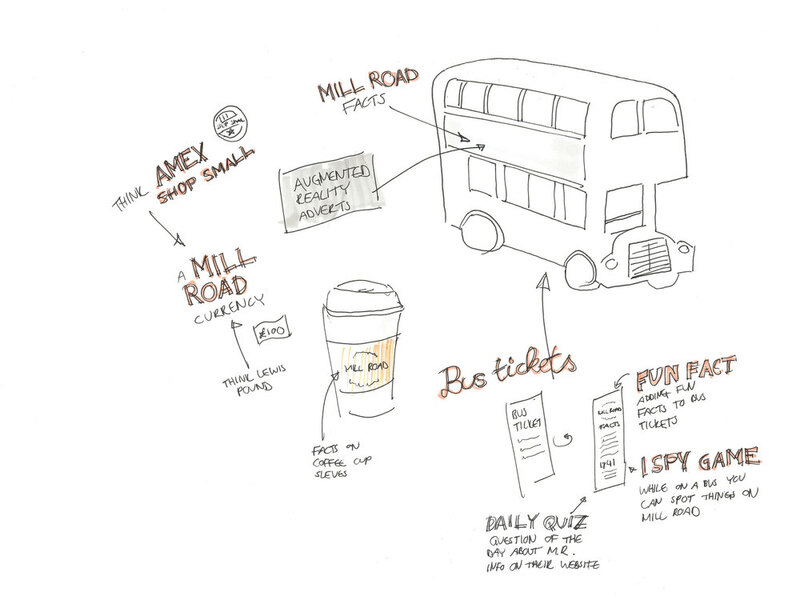 The research involved exploring Mill Road, the subject of our project, and the area in which our product would be placed. 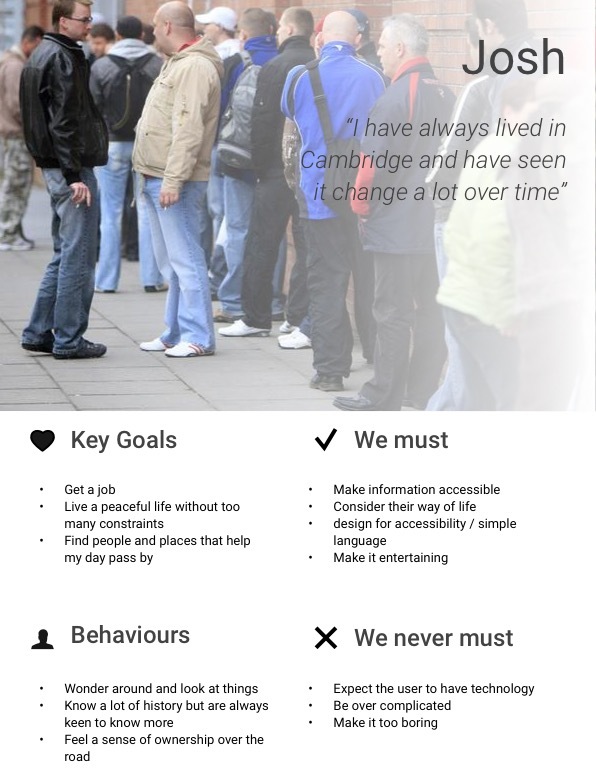 Based on the target audience, which the Mill Road team are trying to engage with, we developed a series of personas. We interviewed volunteers from the ‘Capturing Mill Road History’ project in order to find out more about their intentions and challenges. The personas, interviews and competitive analysis led us to a series of requirements for the product. We looked at related products which convey history in an engaging way through technology, such as the David Bowie exhibition of the Victoria and Albert Museum, London. After developing the personas based on the research and interviews it was important to understand the requirements of the project. All individual ideas for the projects were reviewed and given a rating before narrowing down the direction to explore. 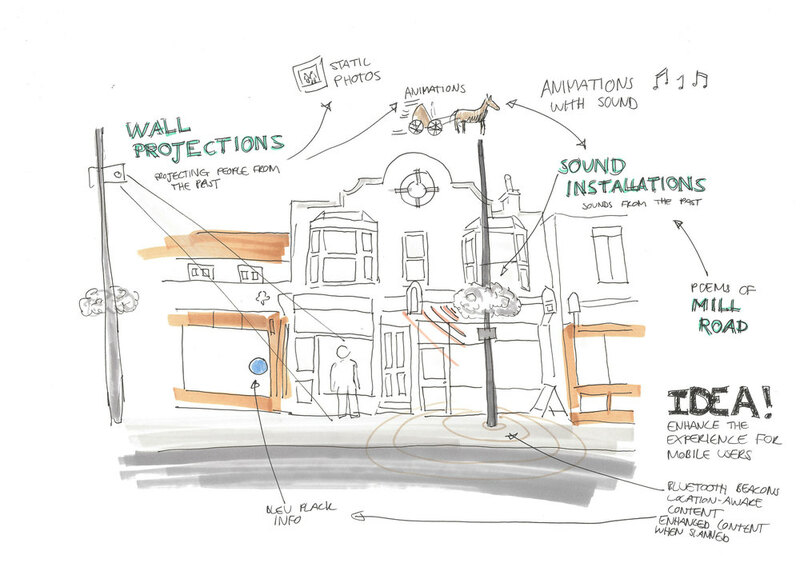 Initial ideas were sketched based on the site visit. 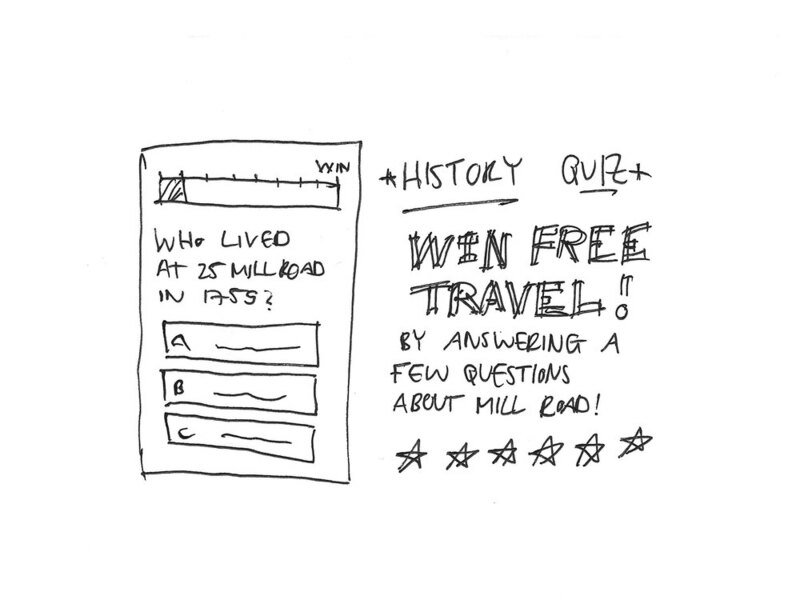 The Mill Road history team would like to drive awareness of their project so the ideas are related to local history, the people of Mill Road, and marketing and communicating these themes through a multitude of offline and online interactive channels. 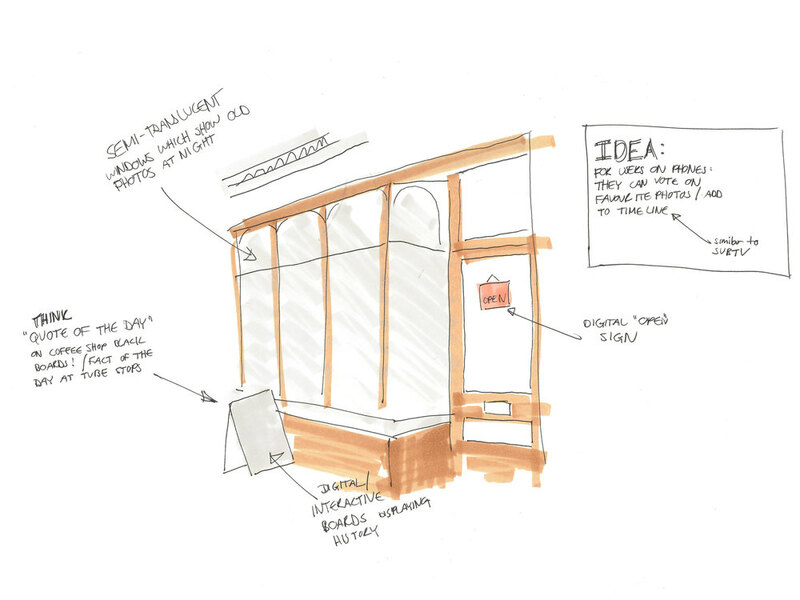 In order to test and validate ideas they were first sketched by hand. Afterwards simple paper prototypes were created to help visualise concept and test with participants. After establishing our persona I considered what could hinder interactions with the final product. Does our persona have a smartphone? 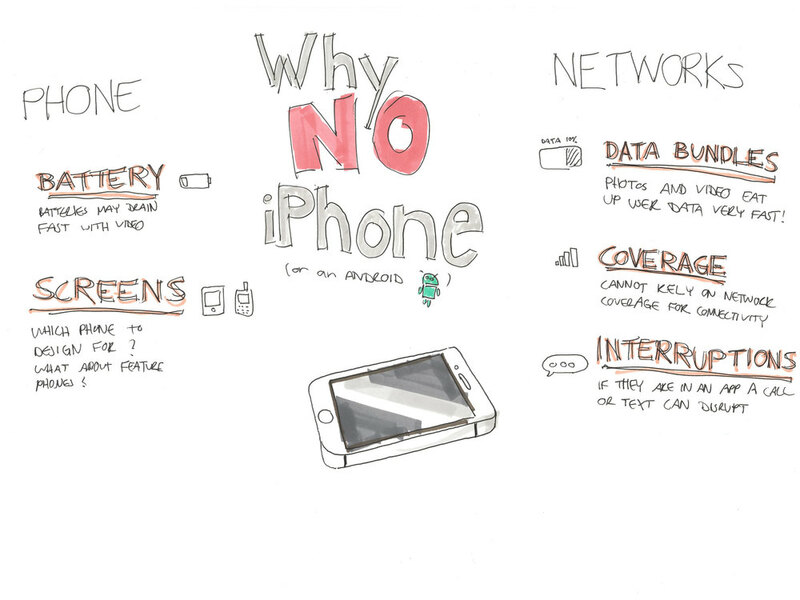 What problems do smartphones have for our user? Using creative thinking techniques I explored further design opportunities, focusing around locations on Mill Road. The length of the interaction also defines the complexity of the app and the level of detail which is conveyed to the user. The aim is to limit the interaction to maximum of 1 minute in order to give the user a short but delightful and insightful experience. The product was developed to be based around a bus stop. Observations concluded that our target audience, elderly people, use buses as their primary mode of transportation, due to the fact that they may receive free travel, are unable or do not wish to drive anymore. The product’s secondary aim is to make boring moments, spend waiting, entertaining, exciting and educational. 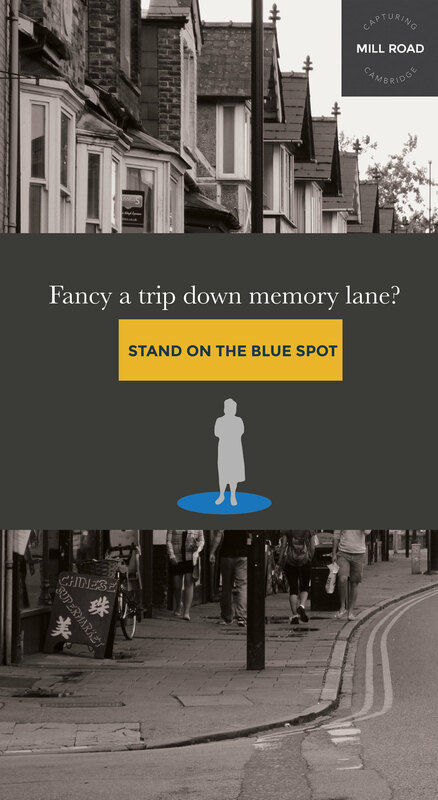 Observing people’s behaviours around bus stops led to some of the design choices, and the parts of the bus stop, we wish to make interactive. 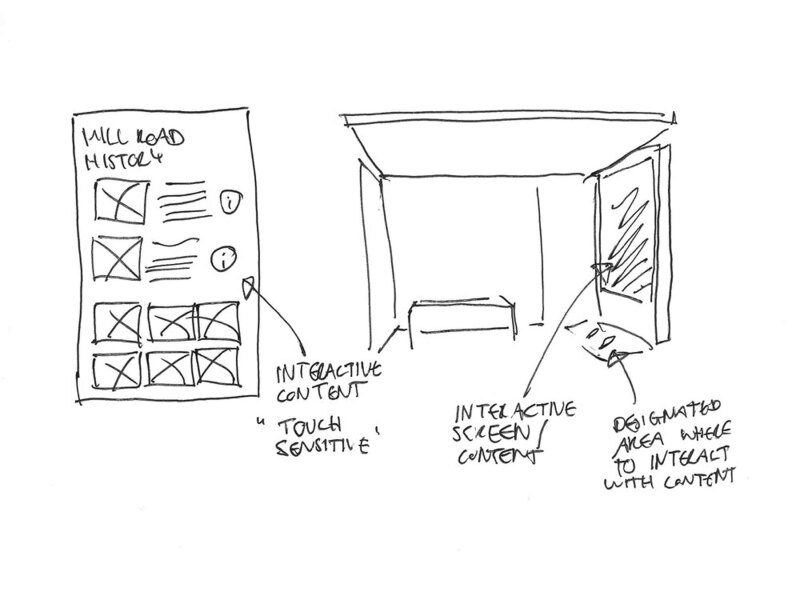 The wireframes were developed based on the storyboards and sketches. 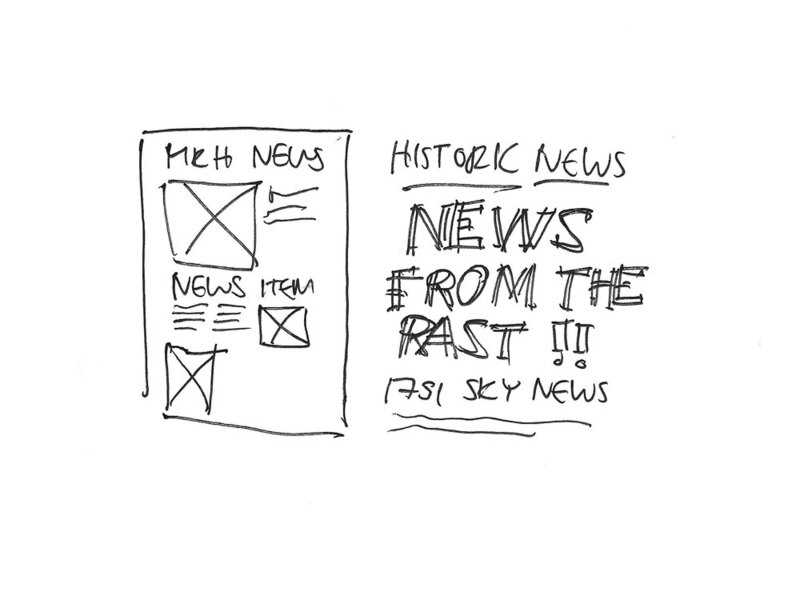 Visual branding and tone of voice was considered when designing the user interface elements and on-screen messaging. To visualise our concepts we made a physical mock up in order to get a sense of the space in which the interaction would occur. Once the interactions were refined over a series of iterations we increased the fidelity of our prototype. Finally to visualise our concepts and present to stakeholders a digital mockup was made. The finalised user interfaces were included in our presentation to them. Renderings curtesy of Gustavo Soto Mino. People need to know if the system is working. Ensure there is enough feedback to keep the user engaged. Clarity of instructions. Elderly people are more likely to read instructions before using a product. Ideally it needs to be simple enough so that instructions are not even required.